It is one of the hardest things to do. When there is chocolate peanut butter cup ice cream in our freezer, it is nearly impossible. When U2 releases a new album, it basically IS impossible. Self-control. Patience. Two of the most difficult words in the English language. How many of you struggle with them? Every couple weeks for the last two years I have been trolling the internet for hints and clues of when U2 is finally going to release their next album. Why is it taking so long? They are notoriously, maddeningly slow in releasing new stuff. 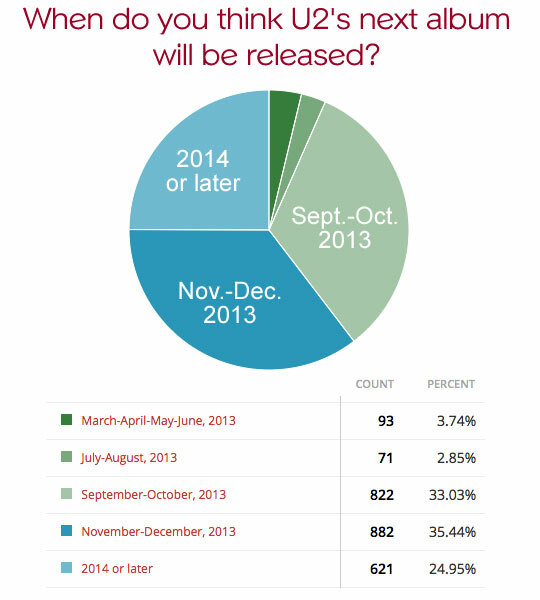 It’s looking really good (see pie chart). 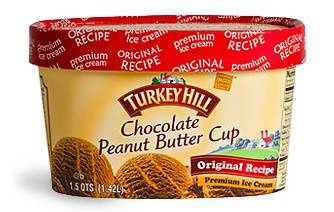 Then there is the peanut butter cup ice cream, made by Turkey Hill. I’ve had others which are good, but nothing compares to Turkey Hill’s version. We almost need a special locking freezer to keep it from disappearing in one night, with the raging metabolisms in our house. My wife bought some last night for our small group which is coming over tonight, and she had to give a stern warning about not touching the ice cream. I wonder if it worked… She had to leave the house today for a few hours, and I am at the office. There’s no telling the power of Turkey Hill Chocolate Peanut Butter Cup ice cream. So as we prepare to study self-control and patience, how about you? Can you say “No!” to yourself? What areas are hardest for you to have self-control and patience? Follow-up to What does faithfulness to God look like in the middle class? We had a gorgeous day Sunday morning for worship in the park! Afterwards the food and fellowship were great too. The only glaring omission was our weekly sermon discussion group… It is one of my favorite hours of the week. Over the last couple years since we started it, we’ve had conversations that have ranged from thought-provoking (including the recurring “why didn’t I think of that for the sermon?? ?” in my own mind), to emotional, to risky, to hilarious. The past couple months, it seems to me, have been especially meaningful. So let’s have a little sermon discussion here. We do from time to time, but perhaps this week we have more of a reason. I gave you an introduction to Sunday’s sermon with my post late last week here. In the sermon I expanded on the difference between faith and faithfulness. Do you remember what the difference is? What are your thoughts and questions about that? Perhaps you might read James 2:14-26 for a bit more on that. I also discussed what it means to be faithful as middle class Americans. Our lives are filled to the brim with all kinds of opportunity, the rat race, bills, entertainment, and having to balance it all with sanity. School just started for our kids, so many of you are breathing a bit easier now that there is more of a schedule in your life. Some of you have 7 free hours that you didn’t have a few days ago! But with school comes homework, and sports, and early mornings trying to get it all together to make the bus, and so on. Is there any time to grow the fruit of faithfulness in our lives? Maybe you want to discuss that. Finally, we talked about how God is the source of faithfulness, because he himself is perfectly faithful. And yet, you might be wondering about God’s faithfulness. You might be waiting for what seems like an eternity to have a prayer answered, a sickness healed, a relationship restored. God doesn’t seem to be anywhere on the horizon. Is he faithful? What does faithfulness to God look like in Middle Class America? I’ll let you define whether or not you feel like you are Middle Class. When I use the word “Middle Class”, I’m referring to pretty much everyone that is a part of Faith Church. Not ultra-rich, but not in extreme poverty. So what does faithfulness look like in middle class America, when we are swamped with bills, with work, with a million events, loads of entertainment options, sports, hobbies and we are just trying to keep it together? We are much more focused on whether or not God is going to be faithful to us. For some of us, to think that we need to grow more faithful to God can feel overwhelming. And so we have to ask why? When we know that God’s way is the best way, the way of abundant life, why do we inwardly rebel? For some of us there are roadblocks to faithfulness. What causes people to not be faithful? Remember the guy who confronted me when I was putting up door hangers? Read the beginning of the story here. When he approached me, at first I had to deal with the confusion of what was happening. It was one of those moments when I started looking around to see if there were other people, because maybe he was talking to them. No, he was talking with me. No one else was around. But I wasn’t sure what he was talking about. He seemed to soften. He said, “So what are these hangers for anyway?” I showed him one, and told him about our worship concert. Now he was interested, and even approving. It’s been a number of years, so I don’t remember the exact conversation, but what he said next was something along the lines of “Well, maybe you don’t need to take any down.” Amazing! But I took them down anyway. It wouldn’t be cool having a church break the law, or even a community rule, to advertize their worship concert. The proverb is right: a gentle answer turns away wrath. It might not work every time, but it is a great principle to live by. My kids will tell you that I have a lot of work to do in this area, despite my story. One of Jesus’ earliest followers, Paul, wrote about a situation where a couple ladies in a church he started were having a fight. You can read about it in Philippians 4:2-5. What is so interesting to me is the progression he advises. That second point is key. When we rejoice in God, even in the middle of a difficult time, we can have our hearts and minds refocused on him, his provision, his purposes, his mission. It reminds me of times, especially early in our marriage, when my wife and I would have arguments late into the night. It was so agonizing and emotional. What prolonged the fight was that neither of us wanted to agree with each other. In other words, we wanted to win! I remember thinking, after a couple hours of this had gone by, after I had made her even more upset by falling asleep in the middle of the fight, that my focus had been so self-centered that I forgot something important. I forgot that I love her. And when I refocused on that love, that it is not about me, but a commitment to her, it changed my perspective. Then it was so much easier to let my gentleness be evident to her. When we rejoice in the Lord, we are refocusing on our love for him and for others, and our bitter walls of division come crumbling down. When we rejoice in the Lord, we can let our gentleness be evident to all. I don’t know what happened with the two Philippian ladies who were arguing. Perhaps they started rejoicing in the Lord and let their gentleness toward one another flow. What I do know is that we can do the same. I showed this video during the sermon because it shows how one famously cruel and mean guy was softened by rejoicing in the Lord. Want to discuss this further? Please comment below. Sometimes people are hard to deal with. Six or seven years ago we had an outdoor concert in the grass field behind our church. Featuring our praise band playing on a flatbed trailer, it was something we had not done in recent years, and we were excited about it. A few days before the concert, I was out one afternoon distributing door hangers in neighborhoods near the church. One of those neighborhoods is sandwiched between rental communities. Interestingly, the homes in the neighborhood look very similar to the homes in the rental community, and it can be hard to tell where one starts and the other stops. This is a key distinction because while it is legal to put up door hangers in the neighborhood, the rental community has a no solicitation rule. Why did he have to be so mean? He wasn’t wrong about holding me to the law. He correctly interpreted and applied the law. He was also right about bringing it to my attention. But did that give him the right to be unkind and mean? I wonder what was going on in his life, in his history, that led him to react that way? Have you ever been mean like that? I have. Way too often. My guess is that many of you know what I’m talking about. You’ve lost it. Or people have been very unkind to you. The stories abound. We can unload on Facebook. We can go off on persistent telemarketers or customer service reps from another country who have accents that are difficult to understand. We scream at the TV. We yell at family members, friends, neighbors and co-workers. As we prepare to study the next few characteristics of the Fruit of the Spirit, gentleness, kindness, and goodness, I wonder if you might think through why we can be so unkind, so mean, so hurtful? And if you’d like, let’s discuss it a bit here before the sermon tomorrow. I’ll also share how my story with the angry man ended! What an amazing Sunday! We got to celebrate with seven people as they were baptized, proclaiming their faith in Christ and their desire to be his disciples for life. That visual image of moving from death (under the water) to life (rising above the water) is so clear. Through those baptisms on Sunday we saw a bit of what Jesus meant when he said he came to give us abundant life. We also learn about that life through the Fruit of the Spirit. On Sunday we took a brief look at Joy and Peace. Very similar to the difference between “Like and Love”, which is the difference between opinion and conviction, we talked about how we can experience joy and peace despite the circumstances. 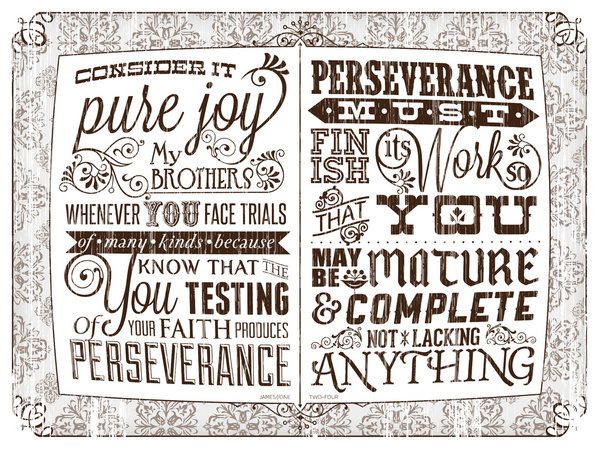 James reminds of this when he says “Consider it pure joy when you face trials of many kinds”. Wow. Read that a couple times reflectively. James knew what it meant to rest in the liver, which is, by the way, one way some cultures talk about peace. In our culture, the heart or stomach or mind is the seat of our emotions. But liver? Yep, the liver. We might say “give your liver a rest,” but when we say that, we’re not talking about emotions! In some cultures they feel emotion is centered in the liver like we say we feel it in our heart. Just different body parts, that’s all. Same phenomenon. The question is how do we properly deal with our emotions. James is essentially saying “Use your mind (consider) when you are dealing with life’s crap (it) to control your emotions (joy).” Consider it joy. Yeah, it’s that simple. Yeah, right. Simple? Try impossible. Or at least it can seem that way. So I came across this very helpful article. Check it out. Maybe it will help you grow joy and peace in your life. Another excellent resource about emotions is the book The Cry of the Soul by Dan Allendar and Tremper Longman. I urge you to begin a study of it. Have you contacted a friend to help you? Why not meet with them week by week until you finish studying the book? We’re growing fruit this month! Maybe discussing it more here will help too? Two things we followers of Jesus are to be known for. And yet, how many of us don’t feel joy and peace? How about you? Are you feeling a lack of peace in your life? Not feeling joy? What we need to learn to do is to rest in our liver. Yeah, that’s right! Rest in your liver. Know how to do that? The second sermon in our Fruit of the Spirit series is tomorrow, and we’ll be taking a look at Joy and Peace, including what it means to rest in your liver. Join us to learn more! Also, we are excited that we’ll be baptizing seven people tomorrow! Pray for the Lord to help you grow joy and peace as we study his word together and praise him for the work he has done in each of the people’s lives who are being baptized.